We may see more female professionals in Australian pro shops in future following an exciting new collaboration between the PGA of Australia and Australian Ladies Professional Golf (ALPG). Following fruitful discussions between the two bodies it was jointly announced by ALPG CEO Karen Lunn and PGA of Australia CEO Brian Thorburn that there would now be a dual membership for their mutual members. 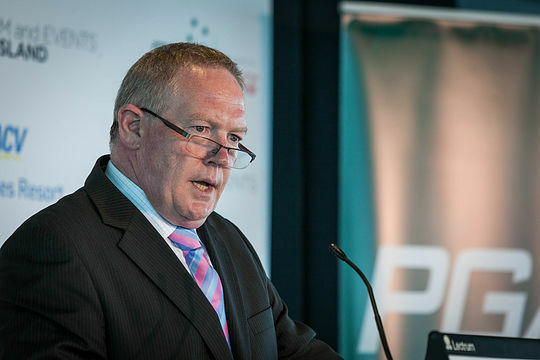 And in an exciting step forward for the golf industry in this country, members of the ALPG who wish to become members of the PGA of Australia will be able to do so via the association’s world-renowned bridging program. It should have a direct impact on the development of golf at grass roots level thanks to an expected increase in female PGA professionals. With more ALPG members coming through the PGA Trainee and Bridging Programs and going on to further enhance their skills via the PGA’s Accreditation and Continuing Education Program, there should be an increased number of female’s coaching golf at a club level. The enhanced relationship between the two bodies will also provide more playing opportunities for female Professional golfers in Australia providing them with access to the Choice PGA Pro-Am Series and ALPG tournaments. Some notable dual ALPG and PGA of Australia members include eight time LPGA Tour winner Rachel Hetherington, 2012 NSW/ACT PGA Teaching Professional of the Year Dennise Hutton and European Tour winners Joanne Mills and Loraine Lambert.